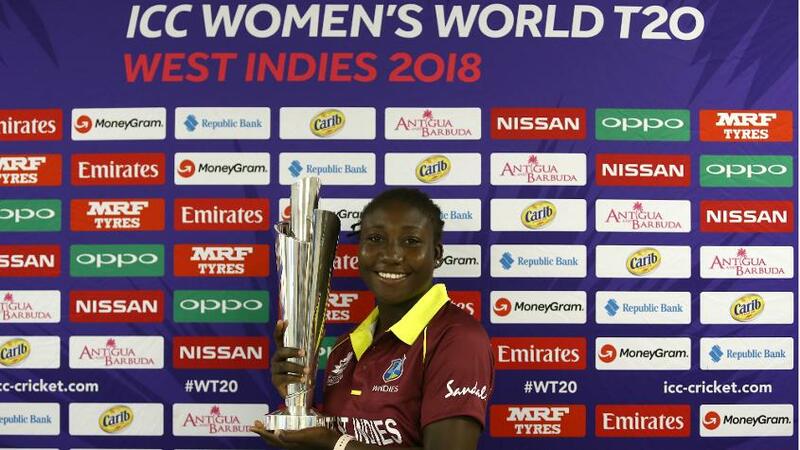 The International Cricket Council (ICC) today announced a series of digital firsts for the ICC Women’s World T20 in the West Indies bringing fans closer to the event than ever before with comprehensive coverage. Fans can follow the action across a range of ICC digital platforms including the official tournament website www.worldtwenty20.com , the new look ICC mobile app, dedicated social media channels and for the first time ever Apple Watch devices. The tournament website has everything fans need to know about the event including exclusive content, live match centre with live blogs and stats as well as interactive quizzes and in-depth team and player pages. There will be in-match clips and short form clipped highlights from every game, plus a brand new video section with team specific content, playlists and cinema view. Additionally, the ICC will be providing a selection of the best daily news and features in Hindi and Bengali for tens of millions of fans around the world in what represents the first foray into multi-lingual content. In an added bonus, fans worldwide will be able to listen to every game via a live English audio commentary stream supplied by the BBC. The official ICC mobile app available on iOS and Android has undergone a transformation to support the event including a dedicated tournament section complete with full team pages for all 10 competing sides and the ability to follow specific nations and receive personalised push notifications. All-new Apple Watch integration brings fixtures, scores and alerts straight to your wrist, ensuring fans won’t miss a minute of the action! On social media, the official ICC channels will also be on hand to provide around the clock coverage with dedicated @WorldT20 accounts on Facebook, Instagram and Twitter. This has also included live Q&As with players on Twitter and for the first time at a global cricket event, selected players recorded answers to questions via Google Cameos, and their video responses appeared on Google Search for fans to discover. Each game day, the ICC will deliver a dedicated digital show presented by Melanie Jones and Ebony Rainford-Brent which includes match highlights, previews and other content that will be distributed to fans across the ICC website and the social media channels. Other digital activations include Nissan Play of the Day and Play of the Tournament, OPPO Flash Charge, MRF World T20 Quizzes and Hublot Player of the Match and Player of the Tournament series for the semi-finals and final. Also launching for the event is the official global ICC Women’s World Twenty20 2018 Dream11 game. Dream11 is India’s biggest sports gaming platform, creating and running fantasy games for different sports, including cricket. Fans will get a chance to play the different games for each match and win some exclusive prizes. The ICC will continue its partnership with Perform Media Channels brand Opta as ICC’s Official Data Provider. Opta will provide live scoring services from the match venues for ICC digital media channels as well as providing a daily stats pack and net run-rate calculator for teams, umpires and match referees, and members of the media. ICC Head of Media Rights, Broadcast and Digital Aarti Dabas said: “We are very excited to be giving millions of fans around the world the chance to get closer to the ICC Women’s World T20 and making it easier than ever before for fans to engage with the women’s game. “The ICC’s focus is on building heroes of our game and telling the story of the players so the teams are at the heart of all of our digital content. We want to give fans the best opportunity to not just follow the cricket but feel like they’re part of the event and bring the players to life for them. “It is important we continue to innovate and deliver exclusive content to fans. The ten-minute digital show hosted by Mel and Ebony will have match highlights and take a look back on the day, whilst the Apple watch integration is a first for a global cricket event. “Our sport has a wonderfully diverse fan base and multi-language content on the ICC website is a celebration of that. Features in Hindi and Bengali means more fans can enjoy the event wherever they are in the world.